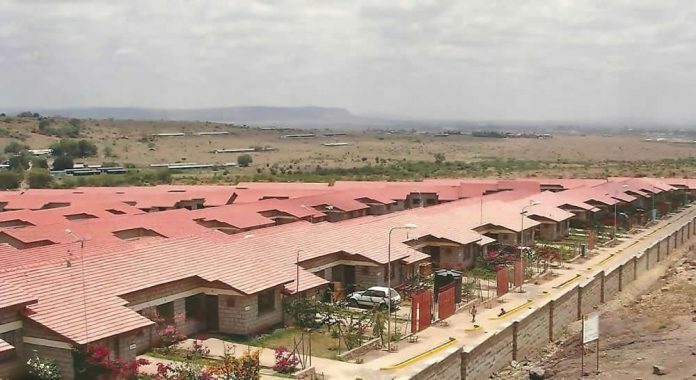 Buying a home in Kenya: BY DN2: Mr and Mrs Omurunga, both 47, live in Valley View Estate in Mlolongo, a gated community with more than 400 homes. Theirs is a three-bedroom bungalow with a living room and a kitchen. Here’s how they went about it. What attracted you to this place? The location; it is close to the highway and, therefore, easily accessible. Why did you buy instead of building? When we started looking for a house, we were open to either open. However, we realised that most of the affordable pieces of land were in remote locations. We were also tired of paying rent and buying meant we would be able to stop paying rent and instead focus on paying for the house, unlike building, where you have to wait for years while still paying rent as you build. We bought this house for 2.5 million in 2006, but it is now worth Sh6 to Sh7 million. We also paid a 13 per cent interest to the bank and spent about Sh300,000 on renovations and customisation. Do you think it was cheaper than building? If we were to use the same materials as those by the contractors, we would have spent much less. We got a mortgage. We reasoned that the money we were using to pay rent, combined with our earnings and any extra cash, was enough to pay for a mortgage rather than continue paying rent. The most convenient thing about the mortgage is that we began to pay off only after moving into the house. Besides, the financier explained all the options to us, including what would happen if we were unable to pay and we thought it was worth the risk. There were no hidden costs because we asked all the necessary questions and the experts we worked with were very professional and supportive. Which experts did you work with? We mostly worked with a financier for the mortgage, an insurance company, and a lawyer. What challenges did you experience? One was the substandard materials used in certain parts of the house. For instance, the kitchen cabinets so weak that they collapsed when we placed our utensils in them. The ceiling was also leaking, and some parts of the house had cracks. The other major challenge was losing my job when we still had a balance of Sh500,000. We risked losing the house, but we finally managed to repay the debt. How did you deal with these problems? The developer had given us a one-year warranty covering maintenance costs and any issues arising and honoured this deal. However, I would advise anyone seeking to buy that renovation and repairs are part of the process. Any home buyer should set aside a reasonable amount of money for this purpose. What are the main advantages of buying a home in Kenya over building? The most obvious is convenience. After booking your house, all you have to do is wait for the construction team to do their work, unlike building, where you have to buy the materials, hire experts and oversee the process. Besides, you can move into your house much sooner than if you build. When building, you might have to wait for years for the house to be ready. When buying, you can move in even before you finish paying for the house. It’s like moving house, only that the house belongs to you. What was your strategy and did it work? We used several strategies, the most important of which was team work. When we first approached the bank for a mortgage, we did not qualify. But after we combined our payslips, we succeeded. Our teamwork enabled us to pay the mortgage in seven years instead of 15. The secret was prioritising; we took any extra cash from side hustles and salary increments straight to the financier. In addition, we opened a retail shop whose proceeds catered for household needs, making it easier to focus on paying for the house with our salaries. The final strategy was minimising expenditure. For instance, we stopped using our car and used public transport; we used the car only when it was absolutely necessary. That way, we saved money that would have been used on fuel. What advice would you give someone considering buying a home in Kenya? It is a risk, but so is everything else in life, so don’t be afraid to take this bold step. Finally, if you were to get a house again, would you still buy rather than build? All things being equal, yes. This feature was first published in the DN2 pullout.